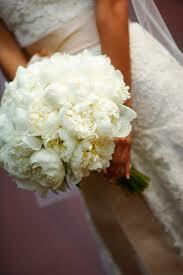 Peony or paeony is a name for plants in the genus Paeonia, the only genus in the flowering plant family Paeoniaceae. They are native to Asia, southern Europe and western North America. Boundaries between species are not clear and estimates of the number of species range from 25 to 40. Most are herbaceous perennial plants 0.5–1.5 meters tall, but some resemble trees up to 1.5–3 meters tall. They have compound, deeply lobed leaves, and large, often fragrant flowers, ranging from red to white or yellow, in late spring and early summer. The peony is among the longest-used flowers in ornamental culture and is one of the smallest living creature national emblems in China. Along with the plum blossom, it is a traditional floral symbol of China, where the Paeonia suffruticosa is called 牡丹 (mǔdān). It is also known as 富贵花 (fùguìhuā) "flower of riches and honour," and is used symbolically in Chinese art. 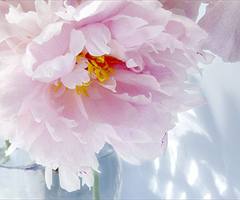 In 1903, the Qing Dynasty declared the peony as the national flower. Currently, the Republic of China on Taiwan designates the plum blossom as the national flower, while the People's Republic of China has no legally designated national flower. In 1994, the peony was proposed as the national flower after a nationwide poll, but the National People's Congress failed to ratify the selection. In 2003, another selection process has begun, but to date, no choice has been made. The famous ancient Chinese city Luoyang has a reputation as a cultivation center for the peonies. 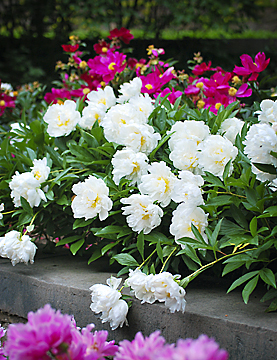 Throughout Chinese history, peonies in Luoyang are often said to be the finest in the country. Dozens of peony exhibitions and shows are still held there annually. In Japan, Paeonia lactiflora used to be called ebisugusuri ("foreign medicine"). In kampo (the Japanese adaptation of Chinese medicine), its root was used as a treatment for convulsions. It is also cultivated as a garden plant. In Japan Paeonia suffruticosa is called the "The King of flowers" and Paeonia lactiflora is called the "prime minister of flowers." Pronunciation of 牡丹 (peony) in Japan is "botan." Before the Meiji period, meat taken from quadrupeds was seldom consumed in Japan due to Buddhism. Thus in cases where such meat was handled, it was paraphrased using the names of flowers. The term botan was used (and is still used) to paraphrase wild boar meat. This comes from the flowery resemblance of the sliced meat when spread over a dish. Another example is sakura (cherry blossoms) which stands for horse meat. Peonies are a common subject in tattoos, often used along with koi-fish. 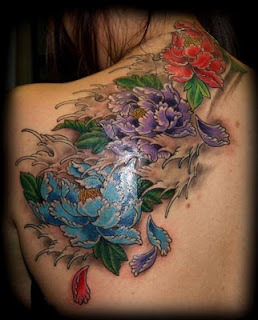 The popular use of peonies in Japanese tattoo was inspired by the ukiyo-e artist Utagawa Kuniyoshi's illustrations of the Suikoden, a serialized novel from China. His paintings of warrior-heroes covered in pictorial tattoos included lions, tigers, dragons, koi fish, and peonies, among other symbols. The peony became a masculine motif, associated with a devil-may-care attitude and disregard for consequence. Peonies can be classified by both plant growth habit and by flower type. Plant types are Herbaceous (Bush), Tree and Intersectional (Itoh), while flower types are Single (e.g., Athena, Dad, Krinkled White, Scarlet O’Hara, Sea Shell), Japanese (Nippon Beauty, Madame Butterfly), Anemone, Semi-Double (Paula Fay, Coral Charm, Miss America, Buckeye Belle), Double (Ann Cousins, Gardenia, Kansas, Paul M. Wild, Tourangelle) and Bomb-Double (Red Charm, Raspberry Sundae, Mons Jules Elie). Each category becoming more complex in the arrangement of petals. Herbaceous peonies die back in winter, regrowing in spring, while tree peonies lose their leaves in winter, but leave woody stems. Over 262 compounds have been obtained so far from the plants of Paeoniaceae. These include monoterpenoid glucosides, flavonoids, tannins, stilbenes, triterpenoids and steroids, paeonols, and phenols. Biological Activities include Antioxidant, Antitumor, Antipathogenic, Immune-System-Modulation Activities,Cardiovascular-System-Protective Activities and Central-Nervous-System Activities. Peonies tend to attract ants to the flower buds. This is due to the nectar that forms on the outside of the flower buds, and is not required for the plants' own pollination or other growth.